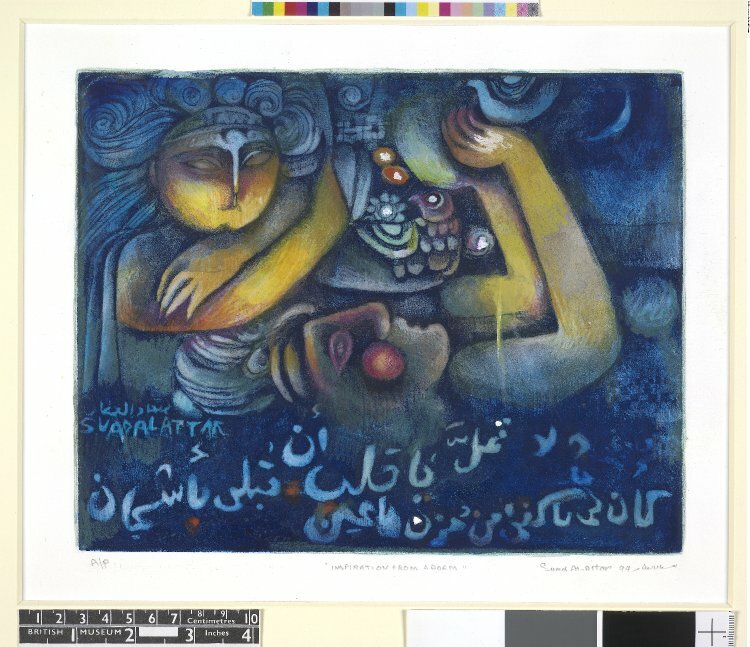 Suad Al Attar, "Inspiration from a Poem." The line of verse featured in the work comes from Layla's poem "I melted as lead melts." Link to the first episode of a 1974 Lebanese television serial "Layla wa-l-Barraq"